After crossing the far western border from Nepal to India, I caught a shared van from Tanakpur to Champawat. 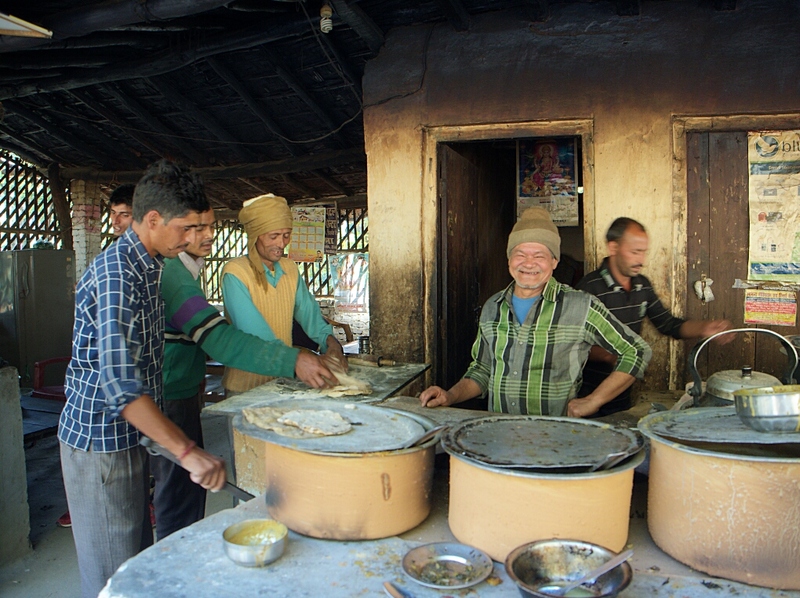 We stopped for lunch at one of the typical roadside dhabas. The kitchen staff thought being photographed was hilarious. Great, good-humoured fun all round. I'm back in Almora, heading for Kausani tomorrow after a few days in Naini Tal. The nights are bitterly cold, and I don't know whether I'll be able to cope with Josimath, so I might be heading for Delhi again sooner than intended.